We are honored and humbled that Sting chose Narrative 4 as one of two charities to feature during his 2016 Rock Paper Scissors tour with Peter Gabriel. Like us, Sting believes that empathy has the power to move mountains and bridge differences. Empathy takes enormous capacity—to listen carefully, respectfully, and intensely, in order to understand another’s story. Empathy doesn’t stop with understanding or feeling. Empathy inspires you to act. 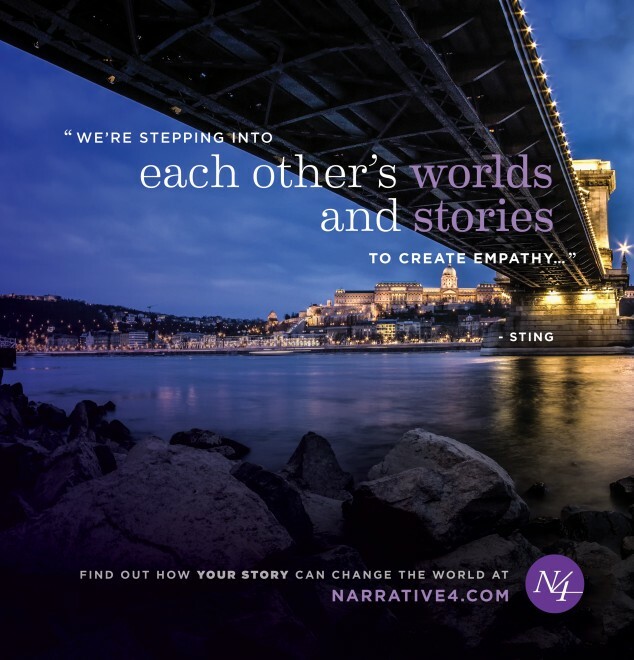 N4 helps students harness their incredible stories into community goals. Our students are already turning empathy into action with the projects they identify through their storytelling, sharing, and listening. Join us. Join Sting. Help us light up our future by building a generation of empathic leaders and citizens and giving them the tools to change the world. Read Narrative co-founder Colum McCann’s essay on Narrative 4, included in the Rock Paper Scissors tour program.